Have you heard about this program? SOUTHERN LIVING carefully selects custom home builders that transcend the pages of the magazine into a dream home. Members are chosen for their extensive experience and knowledge, reputation in the marketplace, and focus on the discriminating customer who is looking to build a custom home. I borrowed took this straight from their web site. I couldn’t think of a way to say it better. You can learn more about this fantastic program here. My husband is K W Homes. Kevin Ward is K W Homes. He builds custom homes on the Gulf Coast of FL and AL. He has been a member of this exclusive program for 17 years. Yes, you read that right, 17 years and still a trusted member. 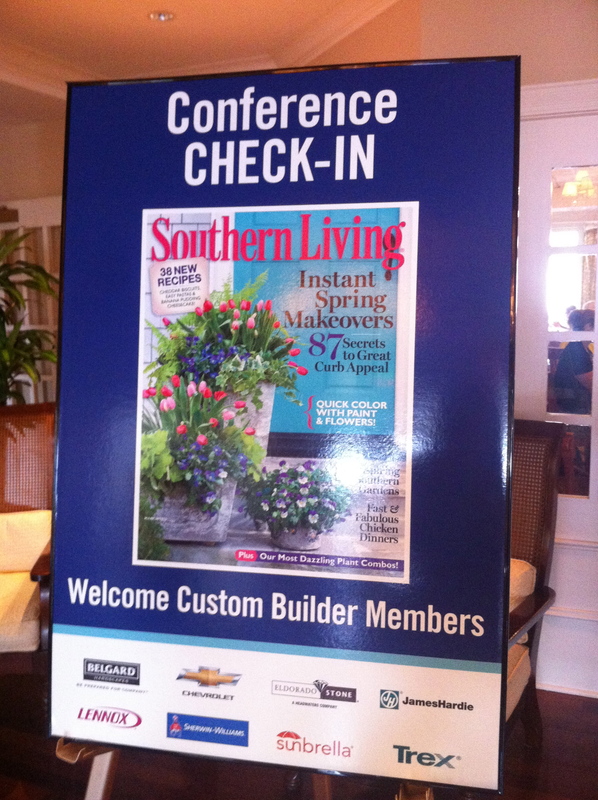 We attended the SOUTHERN LIVING Custom Builder member conference weekend before last. It was held at the WIld Dunes Resort, Isle of Palms, SC. If you ever have the chance to visit this fabulous resort, don’t hesitate. This was the third time, we have been blessed to visit. Coming from someone who lives on the Gulf Coast and has the most beautiful beaches in the world, you know this place is great too. It has a different atmosphere than our beach, but still very relaxed and very family friendly. We also have some very good friends who own a home there, WOW. It is gorgeous. I’ll work on her to let me show it you. If you are looking for a custom builder in the Columbia or Charleston, SC area they are your team. You can find information about Bobby and Julia here. Thank you SOUTHERN LIVING for another fun weekend. We learned about new products, met new people and caught up with old friends. Ada it was so good to see you again, and meet your Mr. Handsome, David. Ada has this great new business, offering you instant (almost) curb appeal. Check out Get More Curb Appeal, you will not be disappointed. The fine folks at SOUTHERN LIVING end this fabulous weekend with a real Nashville Songwriters in the Round, and it was just as fabulous as always. Thank you Rob Crosby. I wish I had taken better and more photos. I have a few pictures of food, and several of the back of people’s heads, sadly a photographer I am not. Sunbrella, Sherwin Williams, Eldorado Stone, Belgard Hardscapes, Trex, James Hardie, Lennox and Chevrolet were in attendance with lots of information to share with us. Contact me or Kevin and we can fill you in on everything new.